The Bot Libre open source GitHub repository has been updated to Bot Libre 7.0. We have released Bot Libre 6.5. We have released the offline version of the 'My Virtual Girlfriend Julie' app. This app uses the Bot Libre Android SDK and the Bot Libre Micro AI Engine to create a run the bot on the phone. The Bot Libre open source GitHub repository has been updated to Bot Libre 6.1. Bot Libre 6.1 was released this week. Bot Libre 6.1 includes new bot analytics to enable tracking and visualizing your bot's activity, engagement, and performance. Analytics include conversations, messages, engagement, confidence, sentiment, response time, social media analytics, and many others. Analytics can be graphed for different time periods, or the raw data can be given in a table. We recently released My Virtual Girlfriend Julie for Android 5.2. We recently released My Virtual Assistant Julie for Android 5.2. My Virtual Assistant Julie is a virtual assistant for your phone and can open apps, send email and texts, set alarms, and also chat about general topics and small talk. You can also create your own customized Julie assistant and customize her avatar, voice, responses, and commands. We recently released Bot Libre Personal Assistant for Android 5.2. Bot Libre Personal Assistant provides a virtual assistant for your phone and can open apps, send email and texts, set alarms, and much more. You can also create your own customized personal assistant and customize its avatar, voice, responses, and commands. We recently release Bot Libre for Android 5.2. Bot Libre for Android lets you create and train your bot or virtual assistant from your phone or Android device. You can also browse our open bot directory and chat with over 10,000 bots using real speech. We released Bot Libre 5.2 this week. The new release includes many new features and enhancements including a website import tool, a new User Manual and a redesigned Admin Console. Bot Libre's dedicated Twitter server has been updated to the 5.1 release. Julie is an artificial intelligent virtual assistant for Android that supports speech, 3D animation, and commands. Ask Julie to open apps, send texts or email, schedule appointments, or just chat. We have released Bot Libre 5.0! The worlds most advanced bot platform just got better. Bot Libre 5.0 is a free and open source platform for developing and hosting bots. Bot Libre 5.0 includes support for chat bots, virtual agents, virtual assistants, social media bots, live chat, animated avatars, and speech. 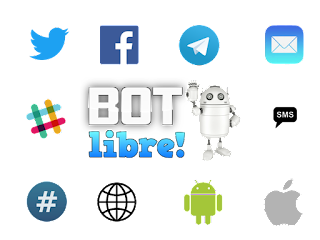 Bot Libre supports bots for the web, mobile, Facebook, Twitter, Telegram, Slack, email, SMS, IRC, and new platforms are being added every month. We released Bot Libre 4.2 today. We have released Bot Libre 4.0! Bot Libre 4.0 is the most advanced artificial intelligence platform available today. Bot Libre 4.0 is a free and open source platform. Bot Libre 4.0 includes support for chat bots, virtual agents, live chat, animated avatars, speech, embedding, and hosting. 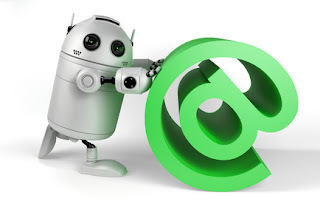 Bot Libre 3.0 provides an advanced platform for artificial intelligence, chat bots, virtual agents, and live chat, email, and social media automation. The Bot Libre AI engine is now open source on BotLibre.org and hosted on GitHub. Now with live chat, chat with your friends, team mates, customers. Add your bot to chat rooms, and have it chat and learn from other people.